We offer private walking tours of Istanbul. 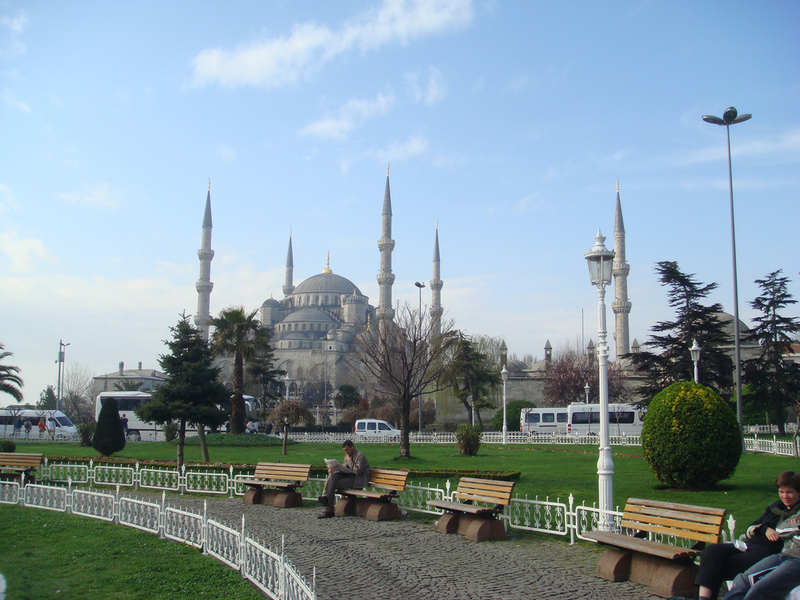 These private tours can start from your hotel or port of Istanbul or Istanbul Ataturk airport. The idea of offering private walking tours is to see more of Istanbul not only tourist highlights but the local shopping areas and the back streets of Istanbul. By walking you will see more of Istanbul. Since there is no vehicle involved costs are also very reasonable. The private walking tours of Istanbul include Topkapi Palace, Hipodrome, St. Sophia, Blue Mosque, Grand Bazaar, Mahmutpasa local markets, Spice Market, Galata Bridge, Karakoy Jewish Neigbourhood, Galata Tower, Tunel, Istiklal Avenue, Beyoglu (Pera). 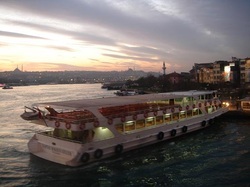 Pera Palas Hotel and if time allows 15 minute cruise of Bosphorus, Uskudar Asian Side of Istanbul. If needed we use public transport like subway, trams, ferries and cabs. The cost of guide only walking tours is 140 Euro whatever the size of your group. The impressive Hippodrome is your first stop. Then visit the Blue Mosque named for the vivid Iznik tiles which line its interior. Browse the amazing Topkapi Palace-official residence of the Ottoman Sultans-with courts, pavilions, mosques, fountains and a treasury. Finally, you will stop at the jewel in Turkey's Byzantine crown-the Museum of St Sophia. This splendid Church of Divine Wisdom was originally built in the 4th century AD and was lovingly restored in the 1900s, reflecting the true history of the glorious city of Istanbul. Enjoy some time at the Grand Bazaar for some shopping. Continue to Mahmutpasa local shopping district. Stop at the famous Spice Market. Walk through the local shops, 400 years old pet shops. Pause a little to taste Baklava, the famous Turkish Desert. Walk in front of some of the building scened in last James Bond Movie Skyfall. Enter Spice Market to taste nuts and Turkish Delight. Return back to your starting point. End of our services. Depart your departure point and walk to Sultanahmet district. Our first stop will be the Hipodrome which was ordered by Theodisius the Roman Emperor. See the remains what is left like the obelisk. Walk to the 17th century Imperial Ottoman Mosque of Blue Mosque which was named because of the Blue tiles inside. 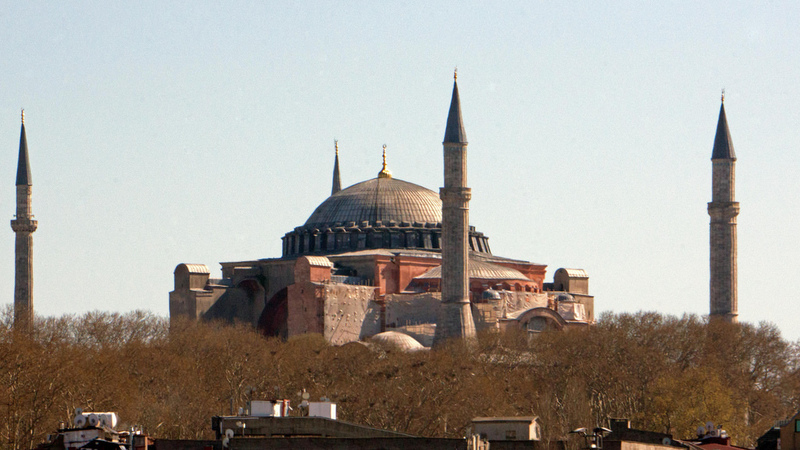 Afterwards stop at the Church of Hagia Sophia. The 6th century AD building is breathtaking. Walk to the Grand Bazaar and stroll through the maze streets. Walk down the hill through Mahmut Pasa district see the local stores. Stop at the famous Spice Market. Walk through the local shops, 400 years old pet shops. Pause a little to taste Baklava, the famous Turkish Desert. Walk in front of some of the building scened in last James Bond Movie Skyfall. Enter Spice Market to taste nuts and Turkish Delight. Afterwards walk on the Galata Bridge to the New City. See the 19th centrury buildings which was once the financial district of Istanbul. Walk through Jewish Neighbourhood at Karakoy. See the first Mosque built in Istanbul. Enjoy the Great views of Istanbul from Galata Tower. Walk through the local shops at Istiklal Avenue (Rue de Pera). Stop to see Pera Palas Hotel and Church of St. Anthony. Have lunch in one of the local restaurants. Enjoy some local specialties like sahlep, hot halva... Continue to Taksim and take the finucular to Kabatas where you will board a local ferry to cross to the Asian Side of Istanbul. 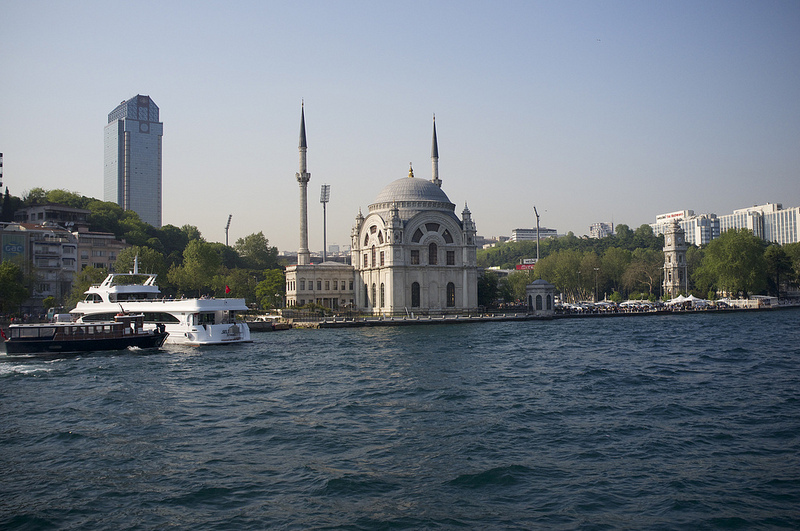 Enjoy a 15-20 minutes cruise on the Bosphorus. Cruise by the Dolmabahce Palace, the last residence of Ottoman Sultans. Disembark the boat at Uskudar walk through the local markets visit Antique stores selling items that are over 100 years old. 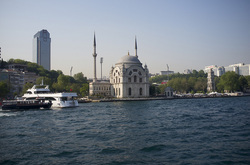 Walk to by the water front and take fantastic pictures of Istanbul and Maidens Tower. Board the ferry and cruise to Eminonu walk back to your hotel. End of services. After meeting with your tour guide, proceed to old city of Istanbul. Your first stop will be the Blue Mosque which became famous with its blue tiles. Afterwards walk to Topkapi Palace, the first residence of Ottoman Sultans. 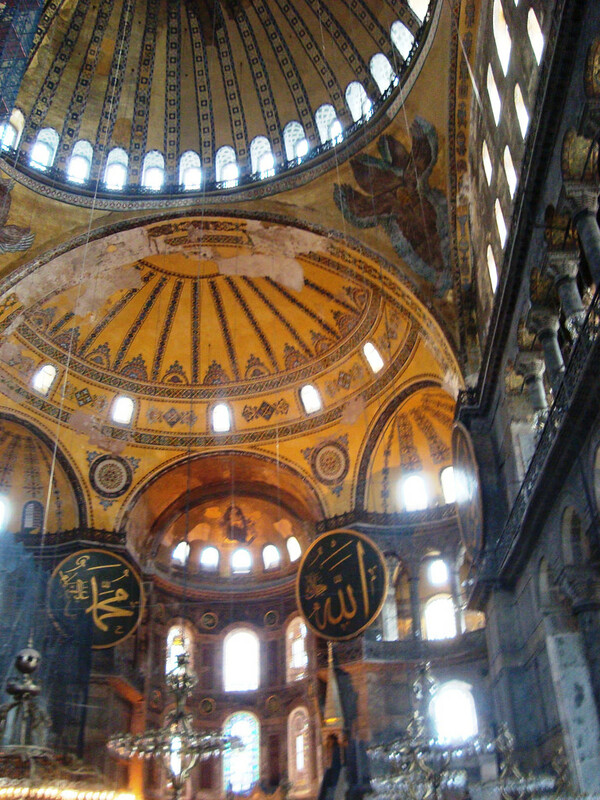 Visit the Church of Hagia Sophia. Have shor ta break and enjoy simit (sesame seeded round Turkish bread). Walk to Grand Bazaar. Walk through the maze streets enjoy bargains at Grand Bazaar. Continue to Spice Market through local shopping district Mahmutpasa. Have a little break for baklava. Sample Turkish delights at Spice Market. Afterwards board a local ferry for a 1.5 hours cruise on the Bosphorus. Cross to the new city through Galata Bridge. 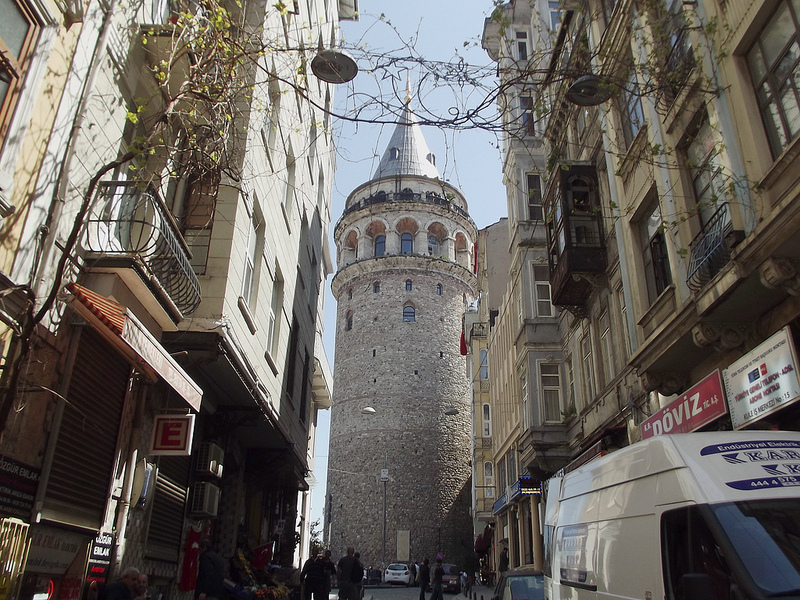 Through the old banks and Jewish Neighbourhood of Karakoy and Galata walk by the Galata Tower. Continue to Istiklal Avenue enjoy sahlep (tastes like a hot white chocolate drink) at a local cafe before returning to your hotel. During the high season, due to high crowds at Blue Mosque, it may not be possible to visit the interior part. In this case other mosques nearby will be visited. Military Musesum: Closed on Mondays and Tuesdays. 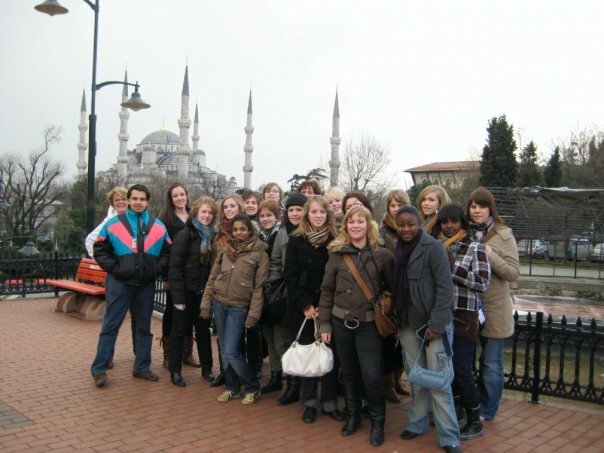 For more information about private walking tours of Istanbul, please contact us.